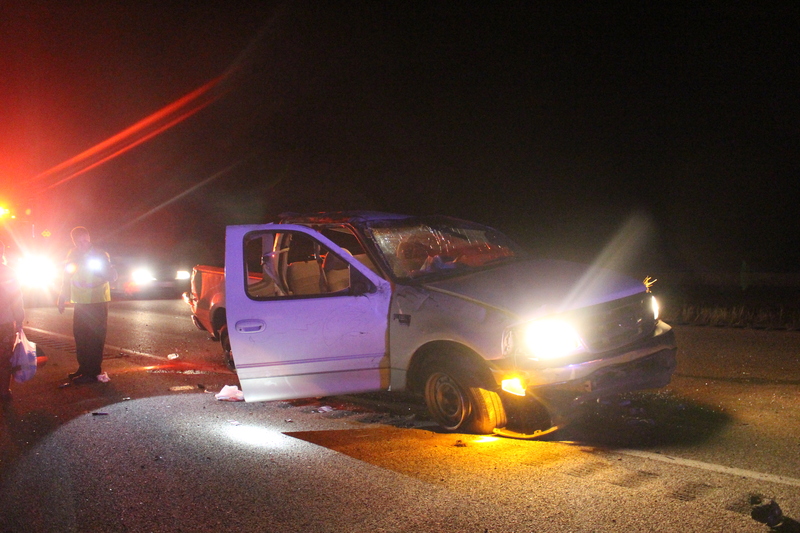 ST. GEORGE – Earlier this year, a vehicle occupied by two emergency dispatchers collided with a deer on state Route 18 in Washington County, an area identified by the Utah Highway Patrol as a “hot spot” potential for deer-crossing activity. While the two dispatchers were able to walk away from the collision unharmed, it is estimated that 150 people across the country are killed in deer-versus-vehicle collisions annually, and tens of thousands of others are injured, according to data from the Insurance Institute for Highway Safety cited by AAA. In Utah, the number of animal collision claims increased by 18 percent from 2016-2017, according to AAA. 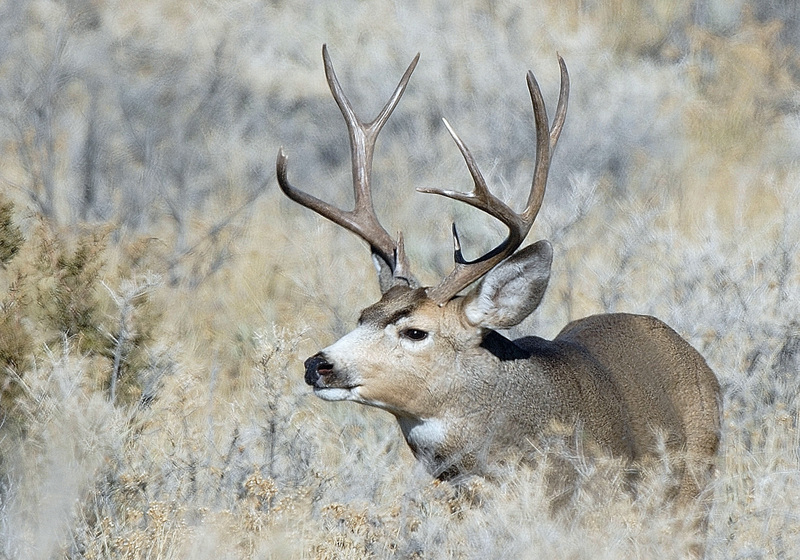 October through December marks a dramatic increase in deer movement as mating season for the animals is in full swing. This increase in movement was sadly illustrated earlier this month when a Teasdale woman was killed near Richfield after hitting a deer on state Route 24. Along with SR-18, Utah Highway Patrol Sgt. 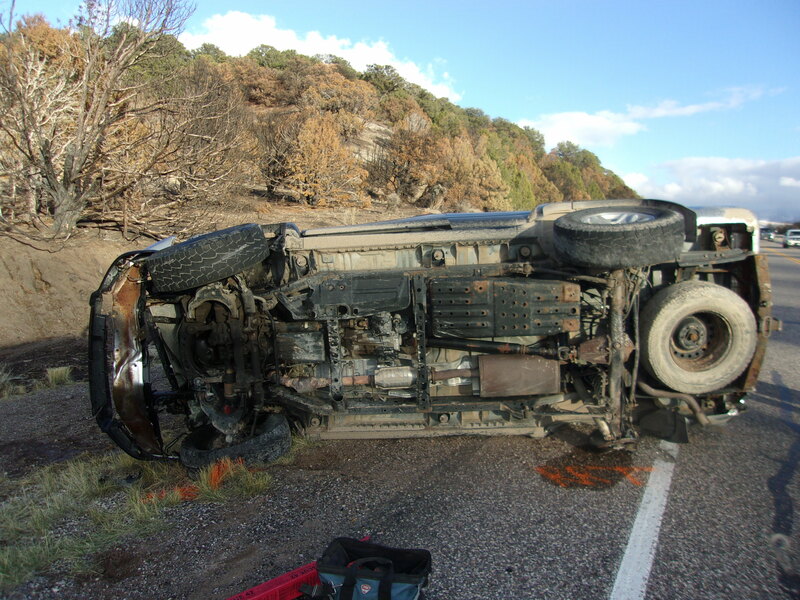 Jake Hicks told St. George News that Interstate 15, particularly between Leeds at around milepost 23 and up to the Black Ridge area around milepost 42, is a known area for deer collisions. Hicks recommends drivers be on the lookout for deer in the early morning and evening hours and that they travel at a lower speed so they can more easily come to a stop or at least avoid a much more severe collision. “If you see the deer in your headlights, it’s too late,” Hicks said. Within St. George, deer collisions have occurred on the stretch of Red Hills Parkway between Bluff Street and Skyline Drive, St. George Police officer Tiffany Atkin said. They also appear in areas close to the Virgin River and the Little Valley and Washington Fields areas where homes intersect with the more rural part of the county, she said. In Iron County, the Utah Division of Wildlife Resources previously previously told St. George News that the junction of state Route 14 and U.S. Route 89, more commonly known as “Todd’s Junction,” is also a deer hot spot. State Route 56 from Cedar City to New Castle is another area to watch for deer in Iron County. South of Washington County on I-15 through Arizona doesn’t have as many issues with deer, though collisions do happen on occasion, Arizona Department of Public Safety Sgt. John Bottoms said. “We’ve had a couple (of collisions) in the top of the gorge over the last few years,” Bottoms said, referring to the northern end of the Virgin River Gorge. 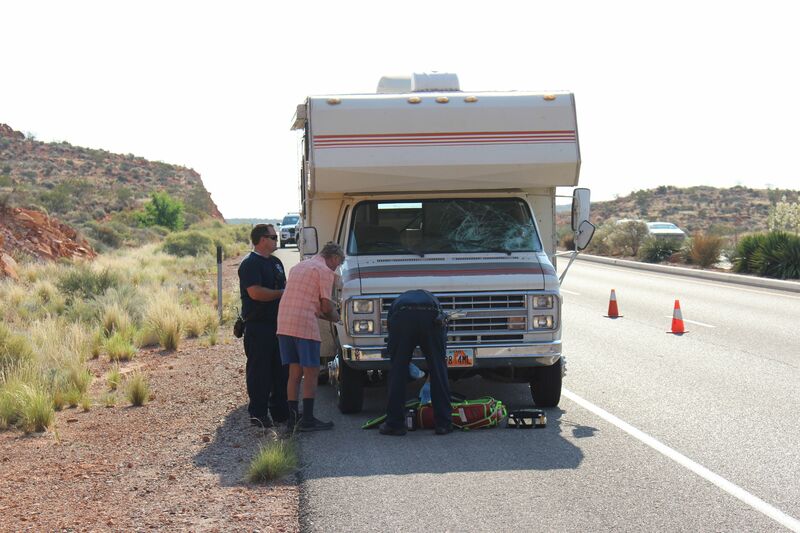 Chief Jeff Hunt of the Beaver Dam/Littlefield Fire District, which also responds to crashes along I-15 and neighboring communities in Arizona, said fire and rescue personnel haven’t responded to any major deer-related collisions on the Arizona side of the state line recently. However, Hunt said deer can be an issue on old Highway 91, particularly between Beaver Dam and Gunlock. Keep your eyes on the road and scan ahead. Continuously scan from left to right for signs of deer or other animals, as they can come from any direction. While animal collisions usually occur when an animal darts in front of a car, they can also run into the side of a vehicle. Scanning ahead will help you spot them from afar. Be especially attentive during commute hours. Deer and many other animals are most active during commuting hours – roughly between 5-8 a.m. and 5-8 p.m. Since animals are most likely to travel during this period, it’s important to be extra cautious when driving to and from work. Use high beam headlights at night if there’s no oncoming traffic. When driving at night, the extra light may help you spot animals sooner and give you more time to slow down or move over. A long blast of your horn can also frighten large animals away from your vehicle. Watch for other deer. Deer typically travel in herds and rarely travel alone. If you see one, you should proceed with caution because chances are there are others nearby. Brake firmly and remain in your lane if impact is imminent. Serious accidents can occur when drivers swerve to avoid animals, causing them to hit oncoming vehicles or crash into fixed objects on the side of the road. If an animal is in your path, stay in your lane so you don’t confuse the animal into not knowing which way to run. Always wear a seat belt. Most injuries in animal-vehicle collisions occur when passengers are not wearing their seat belt. Ensure you and your passengers are wearing a seat belt at all times. Do not approach wounded animals. If an animal is wounded and frightened, it can be unpredictable and may cause you or others injury. Call the police or animal control agency if an animal is in the middle of the road and blocking traffic so they can take care of the situation accordingly. As the deer population grows and as urbanization continues to spread into formerly rural environments, animal collisions are likely to increase. AAA recommends consumers consider purchasing comprehensive coverage to cover animal collisions if they don’t already have it as part of their auto insurance policy. For more information, visit AAA.com. Ed. note: The video in this report stated the data concerning 1.5 million people being impacted by deer collisions came from a AAA report. While the AAA cited the statistic, the data originally came from the Insurance Institute for Highway Safety. Great report, and I would just like to re-iterate that the #1 thing to do “AFTER” you have been attentive in deer areas, and driving at a reasonable speed, is to STAY IN YOUR LANE and DO NOT swerve to miss the bunny or deer. As in the pic above, most people aren’t skilled enough drivers to handle high speed swerves, the best thing is to brake firmly and go straight through it no matter the outcome. A dented fender is minor compared to swerving off the road and rolling multiple times. Slow down peeps and peepers!